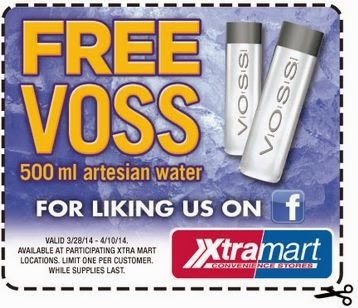 Get a Free Voss Artian Bottled Water @ XtraMart. Click the link below to "like" them on Facebook. Once you like them you can click on the coupon to print it then redeem it at your nearest XtraMart store. This offer is valid from 3/28/14 - 4/10/14.